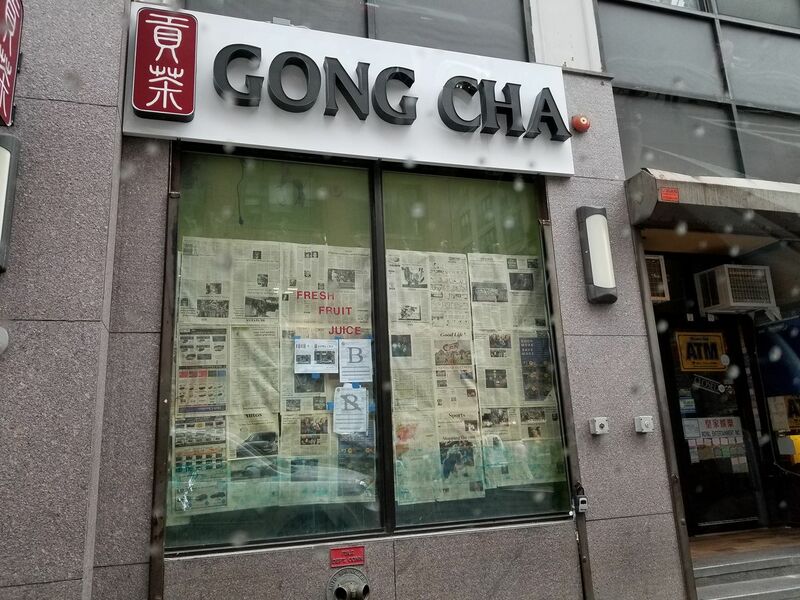 Gong Cha is coming to Boston's Chinatown!!! Okay not going to lie.... I actually don't know what Gong Cha is. I'm out of the coolness loop when it comes to the different types of Boba Bubble Tea Latte iced drinks with a big straw. Kung Fu Tea, Tea Do, Tea Barr.... Basically in the 90's I was drinking Pearl milk Tea when there was only one variety. I thought the big straw and the little balls was awesome because the guys 6 years older than me dressed up and tattooed like they stepped out of a young and dangerous flick saying pk and pak yau were drinking them. And my kids like them too. I was discussing with writers and photographers from Foodies of New England while guiding them through restaurants they were interested in Chinatown, that even though I was familiar with Boba Tea.... it really wasn't my thing, and I actually preferred just regular shakes. But the teens love it, and so do people who haven't seen it before of all ages. That I continue to drink these drinks too even though I am not that into them almost like a social beverage. Like Coffee or Cigarettes or Alcohol. It's less about the drink itself, and more about the hot girls and gu wak jai looking guys lined up to get them and then hanging on the street corner sipping doughy pearls through a straw, which is somehow both childish and gangsta at the same time. Well Sugar is better than alcohol and drugs I suppose. And it is part of the essence of the Chinatown economy. I guess if I was hanging out with hot girls I would be drinking all sorts of Boba tea all the time. Or if I was with my kids, I would be splitting a boba between the three of us to complement some sort of Bao. But I did always prefer the more creative tong sui dishes that showed potatoes and taro and all sorts of other staple starches could be turned into a desert. But I will most likely try this chain at some point, whether it is here in Boston or away in New York.